After weeks of testing, we’ve determined that the Vornado – VFAN Vintage is our current top choice for best fan. Inspired by the company’s original model from 1945, the VFAN Vintage has an authentic vintage look. It operates both powerfully and quietly, which is the combo you want in a bedroom or living room fan. You pay more for the vintage aesthetic and more durable coated metal construction, but if style as well as efficacy is important to you, the Vornado is worth the price. At less than a third the price of our top pick, the Genesis – Avalon was the second-most powerful fan we tested, yet remains lightweight, relatively quiet and keeps a low profile. There is a wide variety of fans on the market, so we started by researching which fans were best for the home and bedroom. Once we had a list of the top rated fans, we vetted them through reviews on Reddit, Amazon and real testing sites such as The Wirecutter. With a list of nine finalists, we read through articles on how to measure airflow and designed our testing process with a senior manufacturing engineer with over 15 years of combined experience in the automotive, medical and defense industries. Once we developed two methods to test wind velocity and circulation and came up with our numbers, we used these fans as any consumer would, to cool down on a hot summer day. In the end, the real world testing influenced our top picks as much as our calculations. The cooling effect that you feel is not something that can be directly measured since a fan will not cool a room, but will help to lower your body temp due to evaporative cooling on your skin. 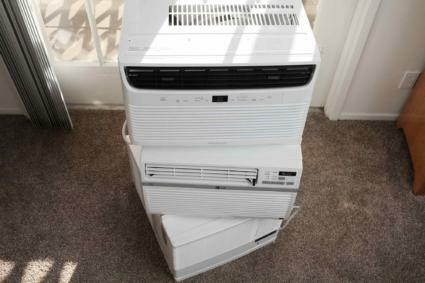 If you are looking for a unit that will lower the temperature in the room, you should consider installing an air conditioner. 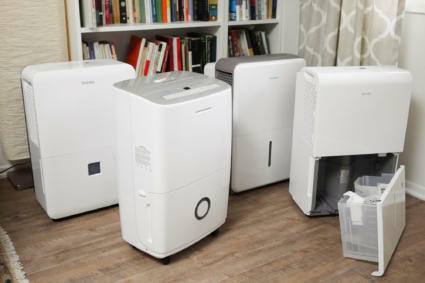 We recommend the Frigidaire – 8000 BTU as our the best window air conditioner. Aesthetics: You want the style and design of a fan to fit in line with your room and personal needs, without spoiling the interior design. Noise: Since a fan is often placed in a living room or bedroom, you want it to be quiet enough that you can hold a conversation without shouting. Our 10 fans averaged a reading of 63.86 decibels. (This is about the noise level of the inside of an average restaurant.) Bonus points if the fan has a quiet setting so you can use it to fall asleep at night. Oscillation: The ability to push out large volumes of air makes a fan better able to circulate a room. However, even a fan with low CFM measurements can provide a wide area of coverage if it oscillates. 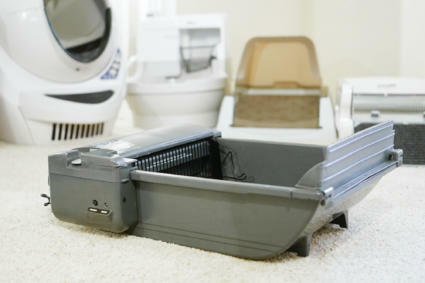 Removable grill: A fan can gather dust quickly and push it out into the room. A fan that’s easy to clean, such as one with a removable grill, makes it more likely that you will clean it on a regular basis. Remote control: For the sake of convenience, a remote control is handy to have, especially if the fan has remote control housing for storage when not in use. You may never have to leave your couch again. Weight: The lighter the fan, the easier it is to move around the room or even switch rooms. 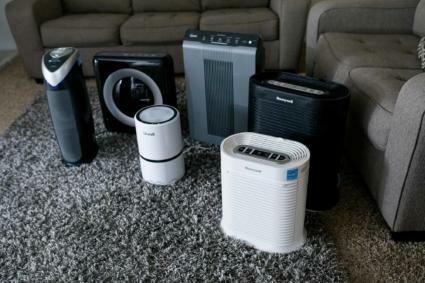 We reviewed the best tower fan in another article, so for this article we focused on the following three types of household fans. Floor: A floor fan sits on the floor and tends to be larger than other fans. Since heat rises and the coolest air is at floor level, this will push the cooler air upwards. This makes a floor fan a good choice for home, even though many floor fans are used in industrial applications. Pedestal: An oscillating pedestal fan generally has large blades that are capable of cooling larger rooms. All the pedestal fans we tested have an adjustable stand. You can use the adjustable stand to change the height of a pedestal fan, and it usually includes both a remote control and digital display so you can adjust the settings from your couch or bed. Personal: Also referred to as a table fan, a personal fan has a small, compact size. This makes it ideal for placing on desks, tables or countertops so you can stay cool in your personal space. It is typically used if you are working at home or situated at an office desk. Fans can improve air circulation, which means they can move a large volume of air throughout a room. We conducted the circulation test two different ways. First, we used an anemometer and a makeshift wind funnel to measure the rate of air flow. Second, we gauged circulation in a real world setting using testers on hot, humid days with temperatures in the high 80’s. We used the anemometer to measure the volume of air each fan could move. Then we averaged the velocities and calculated the air flow rate in cubic feet per minute (CFM), a standard of measurement used in the HVAC industry. To give you an example of airflow measured in CFM, 300 to 400 CFM per ton of cooling is needed for an air conditioning unit to run properly. We used a trash bag to “funnel” all of the air coming off the fan down to an opening of 6×6 inches, then measured the air speed that comes out through the opening of the trash bag in linear feet per minute. To measure the air speed, we turned on the fan to its highest setting and let it speed up. Then we checked to make sure there wasn’t air blowing out somewhere other than the measured opening. We used our anemometer to measure an average speed for the air coming through the opening in linear feet per minute. To determine the number of cubic feet per minute the fan moves, we multiplied the rate in linear feet by .25 square feet (since a 6×6 inche square is a .5x.5’ square). For example, the GreenTech had a speed of 748.1 feet per minute. Multiplying this number by .25 square feet gave us a CFM of 187. We compared our results to data published by the fan manufacturers, when available. The above calculations may have little bearing on a decision to purchase a fan. With that fact in mind, we also set up a real world test that is perhaps more useful for the average person. Our testers sat across the room from a fan to consider its capacity to cool them down and to circulate air. We asked our testers whether they felt cooler, and if it felt like the air was moving around the room in a way that made them feel more comfortable. Then, we recorded their responses. Once we were armed with data, we compared our numbers to tester responses and looked for correlations. We found that the bigger fans were able to push a higher volume of air, even if the blades are moving more slowly. The Air King, at 20 inches, outperformed the other finalists both in numbers and real life circulation. The Genesis – Avalon, at more than half the price of the Air King, pushed out a comparable volume of air. Our other floor fan, the Vornado – VFAN Vintage was another top performer. Of the pedestal fans, the Klarstein rated nearly as well as the floor fans. We were unable to get accurate numbers for the Vornado – Zippi, which has exposed fabric blades that touched the plastic bag and impeded the air flow. We tested the peak air speed with an anemometer at a typical distance we’d use a fan. To capture the speed of an air stream coming off the fan, we used a cardboard “sampling” tube. Our tube measured 3 feet long and 6 inches in diameter. This gave us a straight path for the air that was the same for each test. We placed each fan so its louvre blades weren’t blowing air up or down, but parallel to the ground. Then we held the tube parallel to the ground and directly touching the face of the fan to help isolate it from any vortexes. We turn the fan on to its highest setting and measured the wind speed at the end of the tube. We moved both the tube and meter around different parts of the fan, and logged the fastest speeds we could capture. Since this test only measuring the speed of a tiny air stream, a high number here from a small fan isn’t unexpected. However, we found that the wind velocity was higher in our largest fan and our floor fans had the highest speeds. The Air King reached top speeds of 13.4 miles per hour (MPH), once again outperforming our other finalists. The Vornado – VFAN Vintage was a close second at 11.4 MPH, and the Genesis reached top speeds of 10.5 MPH. Among the pedestal fans, the Klarstein performed the best (and was nearly comparable to the floor fans) at 10.3 MPH. On the other end of the spectrum, the personal fans had the lowest speeds. The best performer here was the Holmes at 7.8 MPH. The noise of fans are usually calculated as sones, a subjective measurement of how sound is sensed. The lower the sone rating, the quieter the fan will be. You may see this number advertised by manufacturers, although more typically this is used with exhaust fans or fans that serve as a backup when an HVAC system doesn’t work properly. Typically, the sone level is measured at the maximum cubic feet per minute (speed), which we previously tested. You can also convert sone ratings to decibels to give you an example of how loud a fan sounds. For example, a sone rating of 2.0 would have the approximate noise level of a residential area at night. For a practical sound level measurement, we used a sound decibel meter to measure decibels at an arm’s length away from the grill and set the fan to its highest setting. Unsurprisingly, our personal fans such as the Vornado – Zippi and Honeywell were the quietest at 48 and 59.8 decibels, respectively. The Holmes was in the mid-range at 64.5 decibels, despite being a personal fan. The quietest floor fan was the Vornado – VFAN Vintage, which was even quieter than the Holmes at 62.4 decibels. The quietest pedestal fan was the Best Choice at 64.6 decibels. The Air King was exceptionally loud, rating at 79.2 decibels (or approximately the sound of a vacuum from 3 feet away). It also had the most unpleasing acoustics, as it starts out with a rattling sound and has a buzzing sound on full speed that it similar to a swarm of bees. No matter how quiet or powerful a fan can be, usability is a key factor when choosing a fan that works best for you. For this portion of the testing, we considered how easy it was to interface with the fan, how safe it seemed and how easy it was to keep clean. As we unpacked the boxes, we considered ease of assembly. The floor and personal fans arrived in one piece, while the pedestal fans needed to be assembled. The Klarstein was the easiest of the pedestal fans to assemble, with a two piece grill that snapped together. Both the Rowenta and Best Choice required some complicated maneuvering to fit together. This also became an issue when we cleaned the fans later. Once assembled, we considered design and aesthetics. We took note of the unique, modern look of the bladeless GreenTech and the sleek design of the Klarstein (especially compared to the other pedestal fans). In terms of sheer style, the Vornado – VFAN Vintage would hold its own with any interior decorating scheme. It is simply a fan meant to be displayed. The Vornado – Zippi is another fan from the same maker that stands out on a desk. The Air King, with its rough metal edges and exposed screws, has an unrefined, industrial look that may not vibe in a home setting. The Genesis is comparable to the Air King in terms of size and style, but tends to blend into the background much better. The first thing we looked for when we turned the fans on was whether or not each fan kept steady. We placed the pedestal fans on carpet and hard flooring, the personal fans on a desktop and the floor fans on carpet, hard flooring and a kitchen chair (since floor fans should by nature be more versatile in their placement). Nearly all of the fans were stable on their highest setting, the one exception being the Air King, which wobbles on “take off” and then seems to get its bearings. You don’t have to worry about dust collecting on the blades with the bladeless GreenTech. All you need to do is wipe down the face and base with a soft cloth. 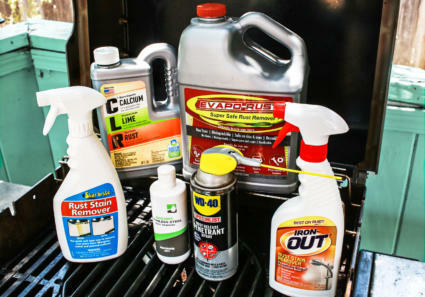 If there is any dust accumulation on the back grill, you can clean it with a vacuum. It was the only fan we tested that didn’t require the removal of any parts to clean, making it the most simple. Two of our personal fans, the Holmes and Honeywell advertise a removable grill that you can easily pop off to dust the blades. However, both models require you to remove the Phillips head screws at the back or base of the grill, so it isn’t as easy as we would have liked. The grill wire of the Vornado – VFAN Vintage can be released from the support tabs using a flat screwdriver, and snapped back into place, making it easier to reach the blades than our other floor models. It is difficult to reach the blades of the Genesis and Air King, since you unscrew the grill to clean and then reassemble it. 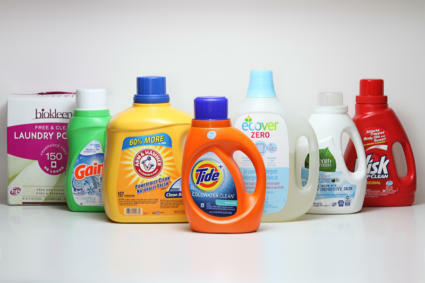 For the models that require you to take it apart to clean the blades, we came across several tips from users that may help you reduce the number of times you have to perform a deep clean. Among the tools recommended were canned air, Swiffer dusters and cotton swabs. We also used microfiber cleaning cloths to dust the grill, preemptively removing dust before we needed to clean the blades. We initially conceived that we would use a pencil to test safety, by seeing if it would fit through the grate and whether or not it left a mark on the the side of the pencil when stopped by blades. However, after concern that this would damage the fans, we went with a much simpler test: seeing if our pinky finger (roughly the size of a child’s index finger) would fit through the grate with the fan turned off. Styled after its 1945 predecessor (the fans of those days had more exposed blades), the Vornado – VFAN Vintage was the only fan that caused us to raise our eyebrows. Our pinky finger fit a little deeper than we felt safe, were the fan to be on and a child involved. Needless to say, you would want to keep children and pets away from any fan with a moving blade. If you are concerned about safety, the bladeless GreenTech would be your best bet. The Vornado – Zippi is another safe alternative, with fabric blades that won’t harm little fingers. The floor fans and personal fans are fairly straightforward in terms of operation: you use a knob to turn them on. Therefore we didn’t concern ourselves with usability as much as the pedestal fans. For all the fans, we measured cord length with a ruler, since nobody wants a fan that doesn’t reach their outlets. The cords typically ran to 5’ or 6’, with several fans on the shorter side of the spectrum at 5’. We favored the 6’, although the 8’ cord of the GreenTech was handy. The Air King had 20’ of cord, which was more than necessary for our home needs. For the pedestal fans, we interacted with them without reading the user manuals first, to determine whether or not the display symbols were intuitive. Since the pedestal fans came with a remote, we checked the product manuals for specifications and tested whether the remotes worked at the ranges claimed. The Klarstein was intuitive to interface with, both on the LCD digital display and remote control, despite having multiple settings, speeds and a timer. We especially liked the fact that the remote control had the same dial system to adjust speed as on the fan. Another feature we liked is the auto-dimming display, which turns off automatically after a few moments so you don’t have a distracting glow in your bedroom at night. Strangely enough, some users have reported that their television remote changes the fan settings. We didn’t experience this with any of the remotes we used around it: television, DVD and Wii. In comparison, the Best Choice has an easy to read digital display, but the bright blue light never shuts off, which can make it hard to sleep when placed in a bedroom. The remote control is clearly labeled with words (rather than icons like the Klarstein) and easy to use. If you are looking for a fan with a lot of bells and whistles, you may want to look elsewhere. However, if you want a sturdy and powerful fan that has a neat vintage aesthetic, doesn’t wobble and is quiet and powerful, we highly recommend the Vornado – VFAN Vintage. 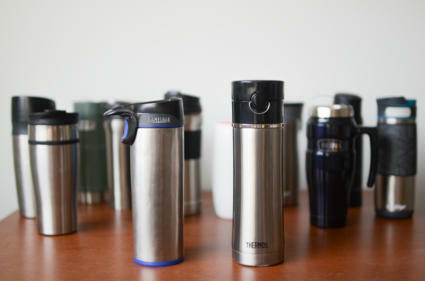 We tested the VFAN Sr, although the line comes in several sizes and even has a pedestal option. With its classic look and stylish color, the VFAN would fit right in with a mid-century modern style, but could also make a great accent piece in any interior design scheme. Most importantly though, it has high power but operates quietly. For a fan that looks old-fashioned, the VFAN has one of the widest vertical tilt ranges of the fans we tested. It can tilt 180 degrees in either direction; the only thing that stops it from tilting 360 degrees is the cord. It doesn’t oscillate, but it doesn’t need to. The twin air cones, deep-pitched propeller blades and vortex action mean that air moves outward in a spiral, so it travels further. Even before we verified this with our circulation test, we could feel the breeze rippling in all corners of the room. It is the most expensive fan we tested, but it’s also made with a quality built to last. It has a durable construction and is made with high-quality materials. The Vornado brand has been around since 1945, giving them plenty of time to hone their craft. One thing that hasn’t changed? The retro style of the Vornado – VFAN Vintage that recreates the classic look. You don’t need a degree in aerodynamics to appreciate the effects of the company’s signature vortex action, which pushes out a large volume of air and allows it to travel further. While it doesn’t oscillate, it has a vertical tilt that beats out nearly all of the other finalists. Despite a high wind velocity, it is one of the most quiet floor fans we tested. If you like fancy features, you may be especially enticed to buy the Klarstein. One of its coolest features is the comfort mode, which automatically adjusts the speed based on the current room temperature. We also liked the night mode, which turns down the decibels and automatically switches off. With a setting or speed to fit the bill in any kind of environment, from a natural breeze to full force, the Klarstein is the most versatile fan we tested. In the same vein, the auto-dimming display means there is nothing blinking at you when you try to go to sleep at night, and it makes the design look more sleek during the day. The natural mode, which simulates the wind, was less jarring than in other models with a similar feature. On the silent mode, it measures only 40.4 decibels, perfect if you want a gentle breeze at night without the noise. It is one of the louder models on full speed, slightly above our average decibel rating, but it didn’t impact our opinion about the Klarstein. We can honestly say that we didn’t find any drawbacks with this fan, although you may want to keep in mind that the price tag is on the high side compared to other fans we tested. The Klarstein comes with 26 different speed settings. And while 26 settings may be more than any user actually needs, we loved being able to give the dial a quick spin to easily land within the range we wanted (high, medium, low). The multiple settings are thanks to the brushless DC motor (BLDC), which gives you a wide speed range due to a linear torque curve. BLDC motors have higher efficiency, run quietly, and have a long service life–all features you look for in a quality fan. A powerful 16” inch fan on a tilt-resistant base, the Klarstein – Silent Storm is a strong performer with a sleek look. The height can be adjusted by up to 6 inches, and the vertical tilt adjusted by 30 degrees. It also has 90 degree oscillation. With all these options, you can direct the wind stream where ever you need it to go. Change speed settings (up to 26) with an easy to use control wheel on either the unit or the remote control. It has a brushless DC motor and operates on 35W, so it is economical even at its highest speeds. 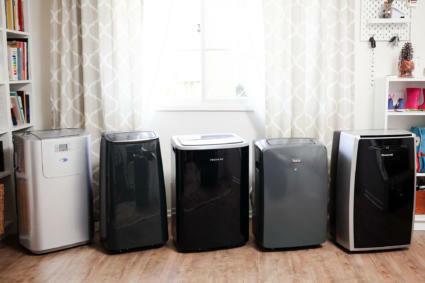 The Genesis – Avalon is a fitting choice for households that move their fan from room to room. It has a lightweight construction, weighing only 8 lbs, and features an easy-carry handle. For something so lightweight, we were pleasantly surprised at how stable it is on the floor or a table (especially given its high wind speeds). When bumped into, it doesn’t knock over easily, either. Lightweight, portable and powerful are the key features of this high velocity floor fan. It has a 360 degree vertical tilt, so you can push a large amount of air (it tested as our second highest rated fan in terms of volume) into the room at whatever angle you wish. It has a durable copper motor, so not only does it reach high wind speeds, it has a reputation for lasting a long time. This makes the low price even more exceptional. The design is fairly minimalist, encased in a hard black plastic, but it certainly won’t clash with your decor. It blends in to any area it is placed. We also appreciated the tightly spaced grill, which keeps small prying hands away from the blades. We will say that this fan’s low price is somewhat evident in its design. It’s harder to clean the blades of the Genesis, and the all-plastic construction makes it feel and look more flimsy than our other top picks. Key takeaways: In terms of volume and wind speed, the Genesis – Avalon was the second most powerful fan we tested. At just 8 pounds, it is exceptionally lightweight for such a powerful fan. Able to pivot a full 360 degrees, you can direct the air stream anywhere you choose, even directly up or down. 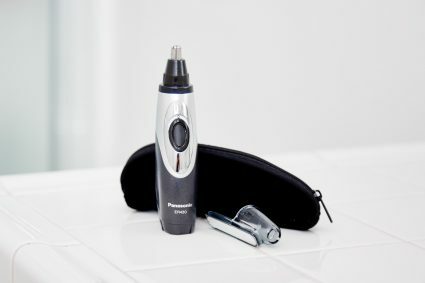 With well covered blades and a UL approved safety fused plug, you can feel comfortable with its safety features. The Holmes – Lil Blizzard is perfectly sized to fit on your desk, helping you circulate air so you can feel comfortable and work more efficiently. After all, you can’t type with two hands if you’re fanning yourself with one. It isn’t the quietest personal fan, but it isn’t so loud that your office mates would complain. It oscillates smoothly, can be tilted up or down (30 degrees in either direction), and can be locked in place. While the Holmes can circulate air in a small area, it’s an ideal breeze-maker for your desk. It can also be easily used on a bedside table to cool yourself at night, or on a kitchen counter to offset the heat from cooking. It’s priced low enough you could buy more than one, and it’s lightweight enough to easily move around if you want to save space. You could say the Air King – 9212 blows away the competition in terms of wind speed and air flow you could say it will blow you across the room. The Air King has tremendous power, but it feels like overkill as a fan for home. It also has a three-pronged outlet, unlike our other fans. If you have an open space office or a garage that would benefit from powerful air circulation, this is a good option. The Air King pushed out the highest volume of air of the finalists. However, you'll have to be tolerate its high noise levels. When you first start up the Air King, it makes a rattling sound and wobbles, but then it settles into a normal albeit loud whirring sound. For this reason, we did not choose the Air King for our top pick, despite its winning performance. The aesthetic of the GreenTech is ultra modern — in fact, with its sphere shape and shiny white casing, it looks more like a futuristic cartoon character (specifically, EVE from Disney’s WALL-E) than a traditional fan. We can’t say enough about our comfort level with the bladeless design, and felt it was safe enough to be in an area where young children are playing, without worrying they would attempt to stick their fingers through a grate and touch the blade. The digital controls are easy to use, so you can figure them out without the use of the manual. 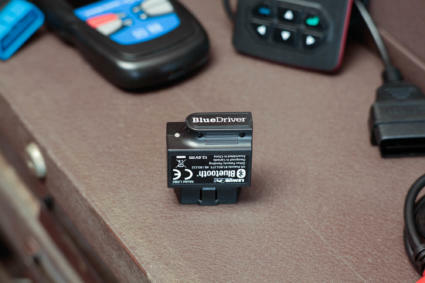 The remote control is simple to use as well, and has a long range so it can be used from the other side of a large room. The speeds range from 1 to 12. It’s not that powerful on its highest speed (at 10” across, it has a smaller face than the average 16”) but it circulates well and you can feel the breeze from across the room. Despite the safety and usability of this fan, we didn’t feel it had enough wind speed to recommend it as our top pick. What we loved about the digital controls on this fan is that it remembers the last setting you used, so if it was on speed 10 when you turned it off, it will be on speed 10 when you turn it on again. In its turbo boost mode, the Rowenta had strong wind speeds and was able to push a decent amount of air (just above average when compared with our other finalists). Unfortunately, with only mid-range power, it was the second loudest of the fans we tested. It advertises a top decibel rating of 57, although we recorded it at 68.1. The remote control and unit are easy to interface with and the fan is easy to adjust. The downsides to the Rowenta are that there is no on-board storage for the remote control and the front grill is extremely difficult to remove and reposition (making cleaning a chore). It also has a blue light that stays on all night. For these reasons, and the fact that it is slightly less powerful than our top picks, we didn’t name this our best pick. The Vornado – Zippi is definitely a conversation starter. Available in black, white or a variety of bright colors, the Zippi has a unique look. It is reminiscent of an airplane propeller, with three blades made of soft nylon fabric. The blades are safe to touch even when the fan is in motion. It weighs only 1.7 pounds (our lightest fan) and folds compact, making it an ideal travel companion. It’s the quietest fan we tested, but it also had the lowest wind speed. We weren’t able to test the CFM due the way the fan is constructed, although we did notice it is light on power. This took it out of the running for first place. Still, we think it’s pretty cute. Some users have reported if you tilt it all the way back on the highest setting, it will flip over. We didn’t experience this issue, however. We can see why the Honeywell is a best seller on Amazon. It’s very basic, but it can pivot to a 90 degree angle and pushes out a large volume of air for its small stature. The Honeywell uses its proprietary Turbo Force Air Circular technology to achieve this effect. It’s one of the quietest fans we tested, so it’s great for a small bedroom. It’s slightly big for a desktop fan, but not enough air flow to place more than a few feet away from where you need it. This makes it a good fan, especially for the price, but prevented it from being labelled our number one. Despite measuring at a loudness of only 64.6 decibels (close to our average decibel rating), the Best Choice makes clicking, popping and occasional grinding noises when in use. We also found the so-called “wind mode” to be a little disconcerting; it felt as if power were fading in and out, as if it were coming loose from the plug. Finally, the construction left something to be desired, and the LCD digital display never shuts off. For these reasons, we didn’t name the Best Choice as a top pick. 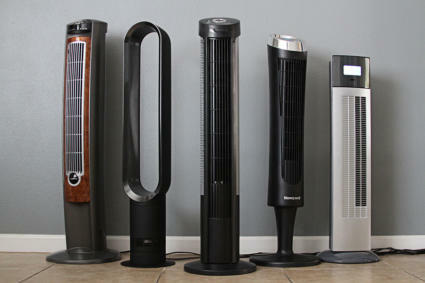 However, given its low price in comparison with the other pedestal fans, it may still be worth considering. If you just need a fan to get you through a brief period, the Best Choice is a decent fan in terms of circulation, breeze and ease of use. 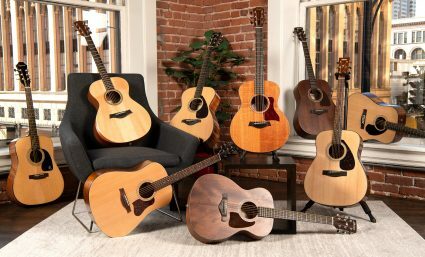 With any of our top choices, you can feel confident you’ll be purchasing a high caliber product. They all have high wind speeds, push out a large volume of air and are constructed from durable, quality materials. The best choice for you when it comes to a fan depends on your personal preferences and budget. The Vornado – VFAN Vintage is a great choice for those who have a strong sense of style and want a fan that circulates air in a tornado air stream that reaches all corners of the room. If you are looking for a pedestal fan that can be adjusted to direct a strong air stream to where you need, the Klarstein – Silent Storm is an excellent choice. It’s the most versatile fan we tested, with multiple modes and speeds. It can be set to a night-time mode that is ultra quiet and shuts off after a set amount of time, making it an ideal fan for the bedroom. If budget is highest on your list of considerations, you’ll appreciate the relative low price of the Genesis – Avalon. The Genesis is a steal, and you won’t have to sacrifice power. And if you’re looking for even more breezy fan action, check out our review of the best tower fan. The Vornado has a vintage aesthetic, is easy to clean and provides excellent circulation throughout a room. Stable on the floor or a table, it serves as both a gorgeous accent to any decor and keeps air flowing so you feel cool.